Nobody spotted the rise of populism, say the media and the politicians, but that’s not entirely true when it comes to folk music, writes Toner Quinn, Editor of The Journal Of Music. There is a case to be made for listening much more carefully to the music around us. It wasn’t called the rise of populism then, but, clearly, that’s what it was. Similarly, even earlier, on the album Rough Music in 2005, the English folk singer Eliza Carthy was singing about ‘a shift to the right’ with Billy Bragg’s song, King James Version. I can remember listening to that line, and there was a power to it that seemed to capture the intensity and blindness of the economic boom and its self-referential logic. It’s rare that a folk singer articulates what is happening in this way. Generally, they address issues by either re-interpreting the songs of the past, or they write new material in a folk idiom. Wood was doing both. His album the same year, The Lark Descending – in direct opposition to Vaughan Williams’ The Lark Ascending – gives clues into this ‘cultural disarray’. On his song Albion, he tells of finding a suicide in his local park, and he juxtaposes it with images of parents in the playground with college prospectuses in their hands. It’s a portrait of a conflicted society and he accompanies it with this ticking-clock strum on the fiddle and keeps repeating the line, ‘Albion, I’m home sick now, though I live in the town I was born in’. Was the song the sound of resignation, or foreboding? It was hard to tell, but we know now. When the crash came, Wood sang The Cottager’s Reply at the BBC Folk Awards, a rebuke to the idea of economic growth at all costs, a frustrated retort but with still no sign of any change coming. In the final line of the ballad, a rural cottager tells a wealthy man who is trying to buy his house and land to simply get lost back to the city – ‘London’s about four hours for me, but in your four-by-four you’ll do it in three.’ Wood pauses with a ‘ffffffff’ in the second ‘four’ and hisses in disgust at what was happening. The singer Jon Boden also imagined a troubled UK. He released an entire concept album, Songs from the Floodplain, in 2009. It explored a future dystopian society and the role that the assault on truth would play in getting us there. In the chorus to Dancing in the Factory, he writes about clinging to words ‘like children’, ‘Long after sense has ceased to be and reason is receding’. ‘Words’, Boden sang about his imaginary future, ‘have torn this world apart and left us stooped and pleading.’ Does that sound familiar? 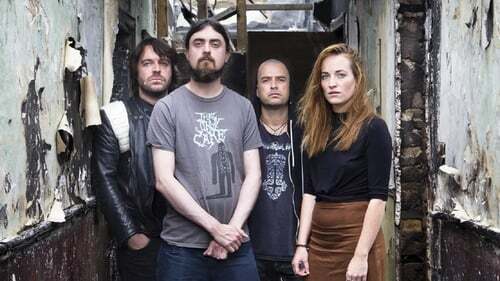 One of the most popular folk groups in Ireland at the moment is Lankum, who have won several awards at both the RTÉ and BBC Folk Awards this year. When you listen to their albums, what is striking is how all the frustration that was evident in English folk music for years is now bubbling up in Irish folk too. Notwithstanding the enduring work of artists such as Andy Irvine, Paul Brady and Christy Moore, and Damien Dempsey’s Colony and Ghosts of Overdoses in the early 2000s, this kind of edgy, counter-cultural social commentary just hasn’t been a part of Irish traditional and folk music for years. They also recorded Robin Williamson’s anti-war song Cold Days of February, with its acid lines, ‘Some clerk with papers and his pen/Some banker with his poison pity… these fan the flames that maim the cities.’ The album ends with a secret track in which the band play a cacophonous version of the reel Boys of Ballisodare, with all four playing in different keys. Listen to a Spotify playlist for the songs mentioned in this article here. Toner Quinn is the Editor of The Journal of Music. Find out more about Ireland's Favourite Folk Song here.